Tom Stoppard's kaleidoscopic thrill ride returns to Broadway starring Tom Hollander. 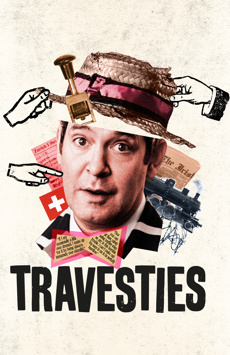 Travesties focuses on Henry Carr, who reminisces about Zürich in 1917 during World War I. 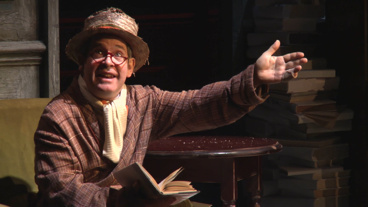 The play follows his interactions with Tristan Tzara during the rise of Dada, James Joyce while he was writing Ulysses and Lenin leading toward the Russian Revolution.